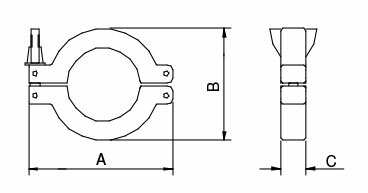 KF Clamps Aluminium are used to clamp two flanges to a Centering ring and an O Ring creating a vacuum seal. KF Clamps Aluminium are manufactured from aluminium and are supplied in a sealed plastic bag. 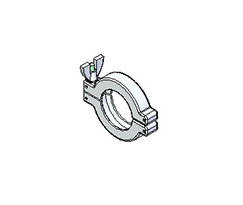 KF Clamps Aluminium are manufactured to the ISO standard and are compatible with other supplier’s products.